Vionic Trixie Women's Platform Sandal. Rock these platforms with dresses or jeans for any part of the year. 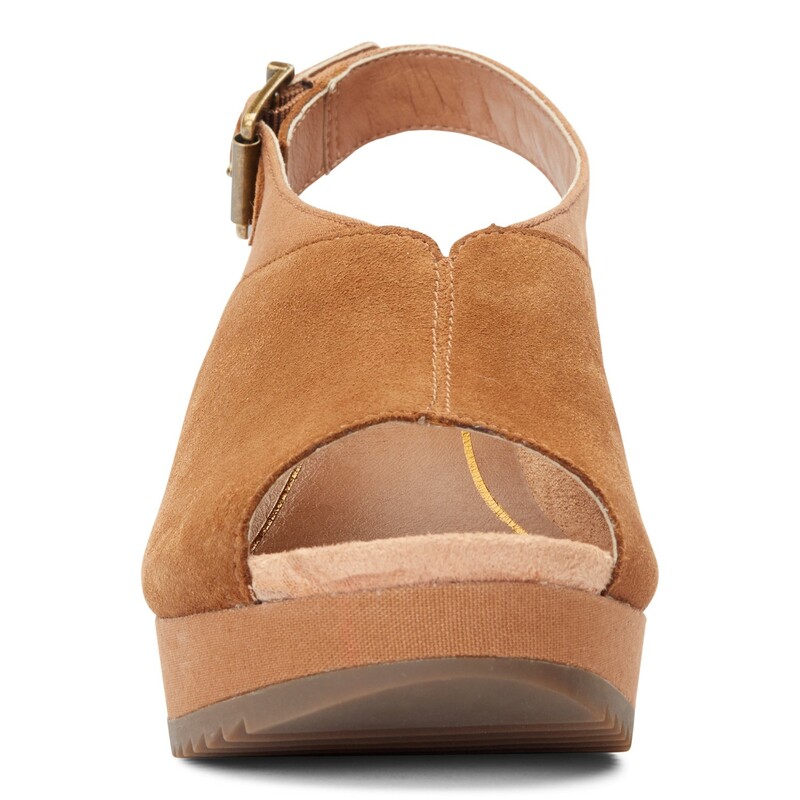 Featuring an adjustable slingback and peep toe. Full-contact support hugs your foot's curves. 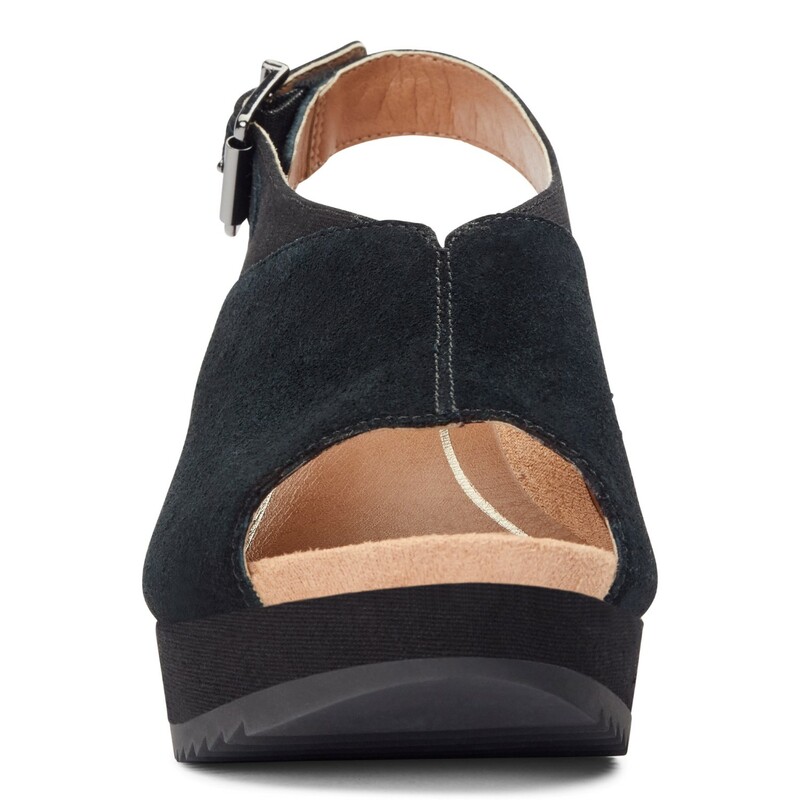 Vionic's Elevated Support technology gives you comfort and style in their wedges and heels. Heel seat stabilizes and positions foot. Stylish and comfortable footwear that incorporates a podiatrist designed biomechanical orthotic. With sturdy saw tooth rubber sole for supreme comfort. Full-contact support hugs your foot's curves. 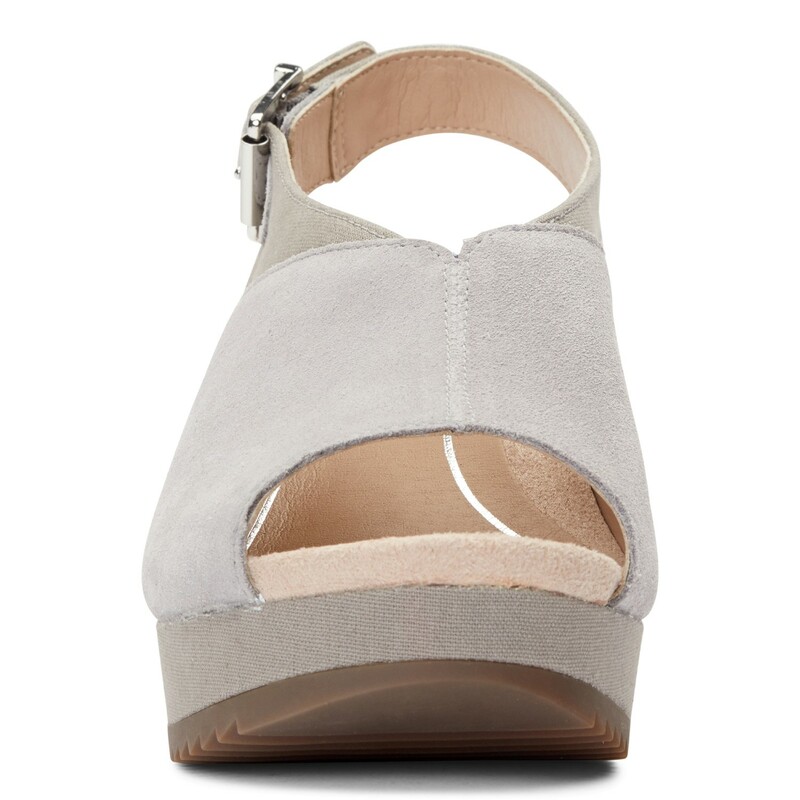 Vionic's Elevated Support technology gives you comfort and style in their wedges and heels. 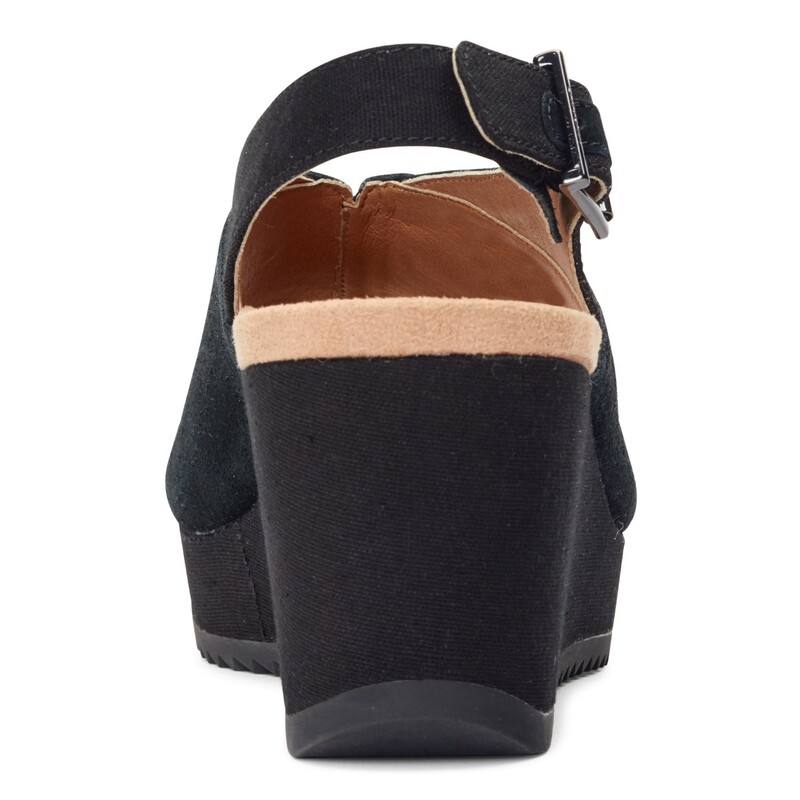 Heel seat stabilizes and positions foot. Ball-of-foot cushioning for all-day comfort. Vionic's Elevated Support technology helps you walk and stand in comfort throughout the day - even in heels and wedges. Ideal for anyone looking for great arch support and comfortable shoes. We suggest wearing these for a few hours at a time for the first few days to allow your body to adapt to Vionic's biomechanical orthotic technology. Was worried about finding comfortable and stylish shoes for my daughter's wedding because I have messed up feet,bunions, flat feet, etc. I was thrilled when they arrived and I tried them on! They were so comfortable right out of the box and I wore them all day long without any problems! Amd I will continue to wear them!!! Love them!! !